Emerald Triumph Viburnum, viburnum 'Emerald Triumph', exhibits creamy white flat-topped flowers in spring that are followed by clusters of red berries that mature to black in fall. This compact, rounded shrub has disease resistant, glossy green foliage that changes to purple-bronze in fall. 'Emerald Triumph' is a true winner among Viburnum because it's so easy to grow. 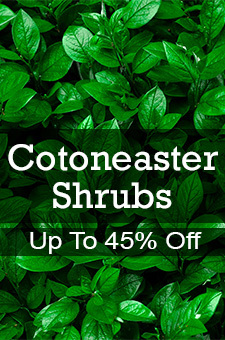 The foliage is glossy green and an excellent choice for landscapes in shaded and partial sun areas. An extremely durable shrub, 'Emerald Triumph' also holds up well to drought and tolerates clay soils better than most Viburnum. 'Emerald Triumph' is easily grown in average, medium moisture, well-drained soil in full sun to part shade. It prefers moist loams, but tolerates wide range of soils. Prune as needed immediately after flowering. This Viburnum tends to be a multi-season plant with ornamental value throughout a large part of every season. Since the foliage is dense, it can be used as a screen hedge, foundation plant, or for a border.